If you ever had a strong craving for something sweet or carbonated after a workout, you’re not alone. You’re torn between satisfying that thirst for sugar and the desire to have abs. After struggling for a good three minutes, you succumb to the calls of sucrose. As you voraciously gulp down that cup of bubble tea or dig into that pint of ice cream with a tablespoon, you feel a lump in your throat. It’s not an allergic reaction or an extra-large pearl blocking your windpipe – it’s the sense of guilt for cheating on your diet. Minus the drama, in real life, I believe we can all relate to this at some level. But what if you can have honest-to-goodness healthy desserts anytime you want without a care in the world? 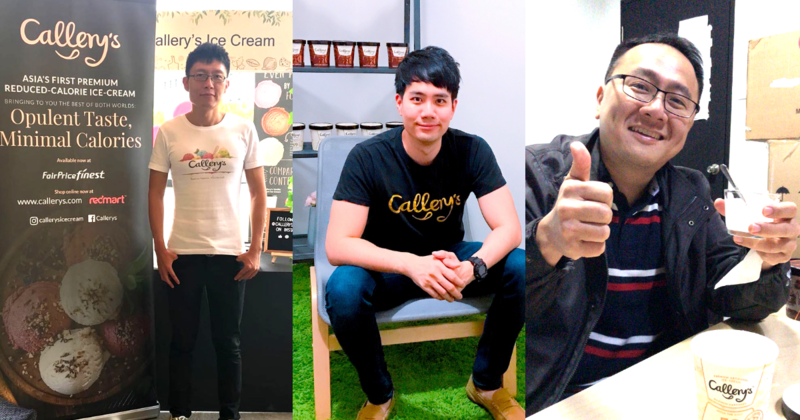 Thanks to these three National University of Singapore (NUS) graduates and the proprietary food technology (foodtech) platform they developed, you can have Singapore’s first “reduced-calorie” premium ice cream. 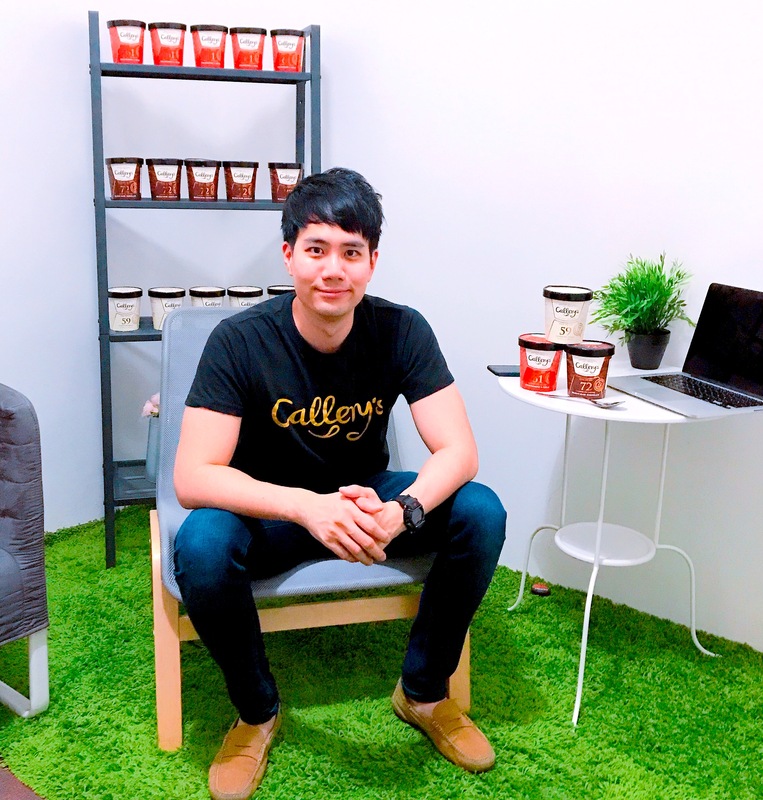 “Each serving of Callery’s contains a standard volume of about 100ml, which ranges between 63 to 72 grams (a serving), depending on the flavour,” said 31-year-old Ow Yau Png, co-founder and CEO of Hoow Foods Pte. Ltd.
To put it into perspective for us, he told me an entire pint of Callery’s Vanilla Bean flavour contains less than 280 calories in a total of 4.7 servings, while popular ice cream brands contain 260 to 300 calories per serving. 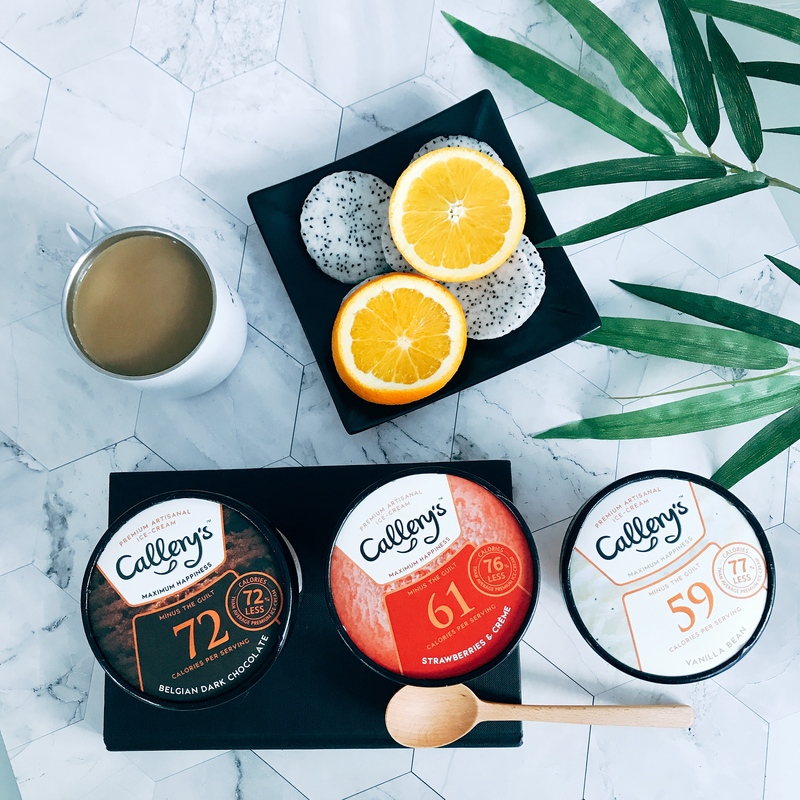 He assures us that despite the really low calories count, Callery’s will taste just as good as those premium ice cream found in scoop shops. “[With] Callery’s we aim to solve the perennial paradox: ‘Can delicious foods be healthy at the same time? '” Yau Png stated. 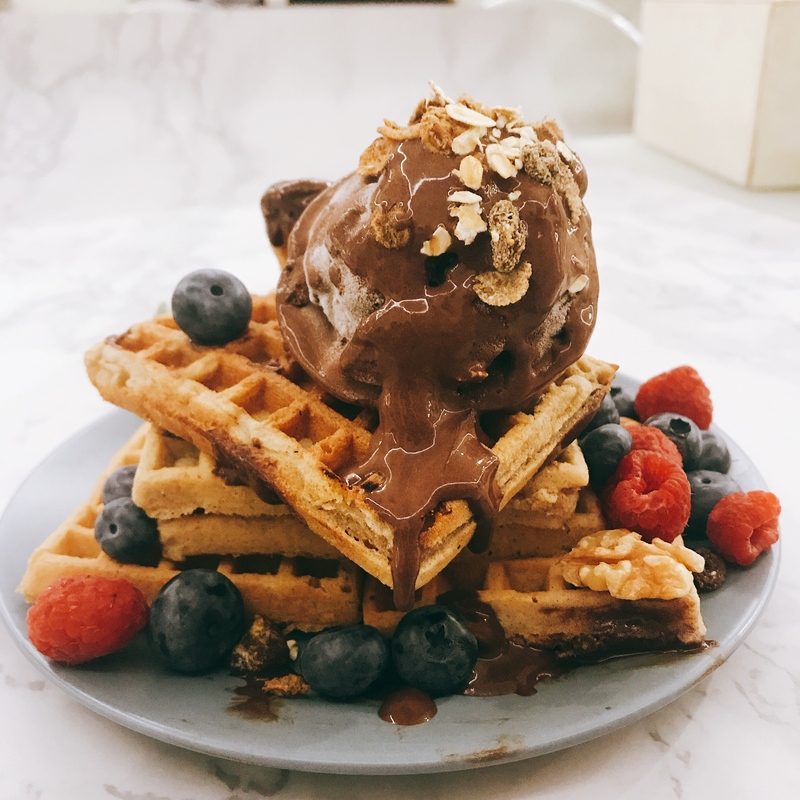 He went on to say that Singaporeans are foodies who take pride in the heritage of our food and variety of cuisines, but the problem is most of the local delicacies we love contain a lot of sugar, fat, and calories. “People who understand the need to eat healthier often baulk at changing their diet in the end simply because the alternatives do not taste good. Let’s face it, the fat and sugar content in food today is what makes them taste and feel so good,” Yau Png said. My team and our sister publication, DiscoverSG, were sent a box of Callery’s ice cream to try and we were amazed at the taste – no kidding. The chocolate was rich and decadent, and a colleague said the strawberry flavour tasted like regular ice cream. And this is all possible because of a polyol found in plants and fruits called erythritol, a type of sweetener that tastes like sugar but has almost no calories. Unlike other sugar replacements, erythritol doesn’t cause bloatedness nor affect blood sugar levels so it’s safe for diabetics to consume, Yau Png assured. But using erythritol comes with a price to pay, literally. A pint of Callery’s costs $16.90 a pop, which is actually just a couple more dollars more than popular ice cream brands found in supermarkets. “[The] natural sweetener erythritol that we used is seven times the price of normal sugar. This higher cost applies to the other healthier and rarer ingredients that we use in our products,” he explained. The vanilla beans used are imported directly from sustainable farms in Indonesia and are processed with a non-alcoholic method so the integrity of the concentrate is not tarnished. Factories making Callery’s are also Halal-certified and all other ingredients come from halal sources. In the long run, they hope to change the perception that “healthier versions of indulgent foods can actually be as tasty or tastier” than the current offerings in the market. Yau Png, who holds a Bachelor’s degree in Materials Engineering, had worked in the medical, healthcare and life science industry for seven years before becoming an entrepreneur. His fellow co-founders, Zhong Hao (33) and Wang Qun Xiong (34) each has more than 10 years of experience in the medical, healthcare and life science industry and energy and finance sectors, respectively. Zhong Hao graduated with a Bachelor’s degree in Pharmacy and Qun Xiong was a Valedictorian with a Bachelor’s degree in Mechanical Engineering. In their past lives in the “big pharma”, before the launch of the government-led Let’s Beat Diabetes campaign, Yau Png said they already noticed the rise of chronic metabolic diseases in recent years, especially diabetes mellitus in Singapore and the Asian population. “Closer to home, my family has a strong history of diabetes, yet we all have a penchant for indulging in sweet desserts,” he added. Even though there’s been an increase in foods that are labelled ‘healthier choices’, Yau Png explained that desserts stayed under-developed” simply because it was not easy to develop food products” that could retain the same taste and satisfaction. 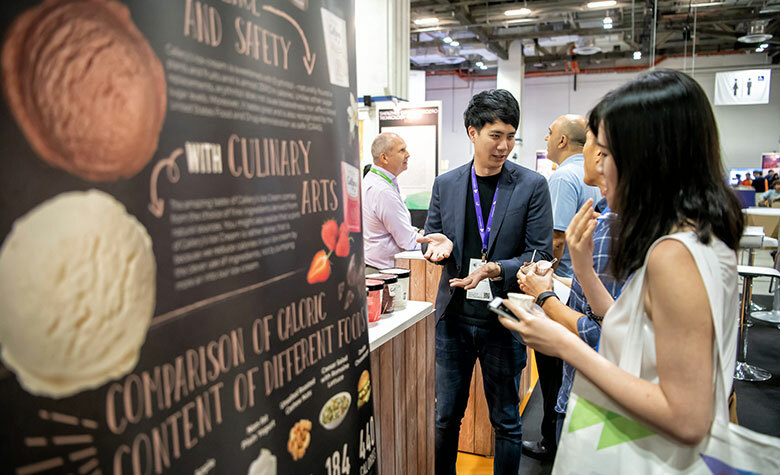 So they refined their tech platform and started up with the knowledge that their efforts could boost the foodtech scene in Singapore and evolving the “relatively unexplored” nutrition and health industry, citing a 2017 report. “The lack of food science and basic nutritional knowledge of the average Singaporean is a major contributor to high obesity rates and diabetes,” he remarked. For example, he said, if you were to ask the uncle you meet at the neighbourhood kopitiam how many calories are in his bowl of chendol, he’ll probably won’t know what calories are and would go on to “just enjoy life”. Yau Png also noted that there’s a shortage of budding academic talents that want to specialise in foodtech as they tend to choose to become bankers and doctors over becoming a food scientist. “We hope that in time to come, Callery’s will also inspire more young people to take notice of the food science space in Singapore and we definitely welcome more competition into this space,” he shared. Despite having only founded Hoow Foods in February 2018, they only started the sales of Callery’s just three months ago. In the first two months, they sold about 2,000 pints of Callery’s, according to Yau Png, and to date, the number has doubled. But before that, they spent around 1.5 years doing research and development into their foodtech platform and invested about a mid-six-figure sum in total. He said we can think of this foodtech platform as a “hardware-software synergistic platform… that enables rapid reformulation of novel composite ingredients”. “Our foodtech platform addresses the missing link between the novel food ingredient industry and the consumers, [where] these ingredients may be used to transform unhealthy, caloric-dense foods into healthy, low-fat, low-sugar versions,” he explained to me. Using their deep understanding of food science, they were able to bring in additional health benefits such as increasing fibre content for better gut health, into the new products. The Hoow Foods team had recently exhibited at Techinnovation 2018 where they showcased their platform. They’re developing the platform to scale up their tech to include automation and machine-learning capabilities. At the moment, it’s useful to food businesses, but depending on how his company will move on as a foodtech company, a consumer model “may be a reality”. He explained that low-calorie ice cream freezes slightly harder than normal ice cream because of its “immense low fat and sugar content” and that it requires up to 20 minutes to thaw it before consumption. Consumers often compare Callery’s to full fat ice cream in that sense, but Yau Png takes it as a compliment. Of course, he admits that they do get their “fair share of trolls… and naysayers” in the industry but they are thankful that they have more supporters than detractors. 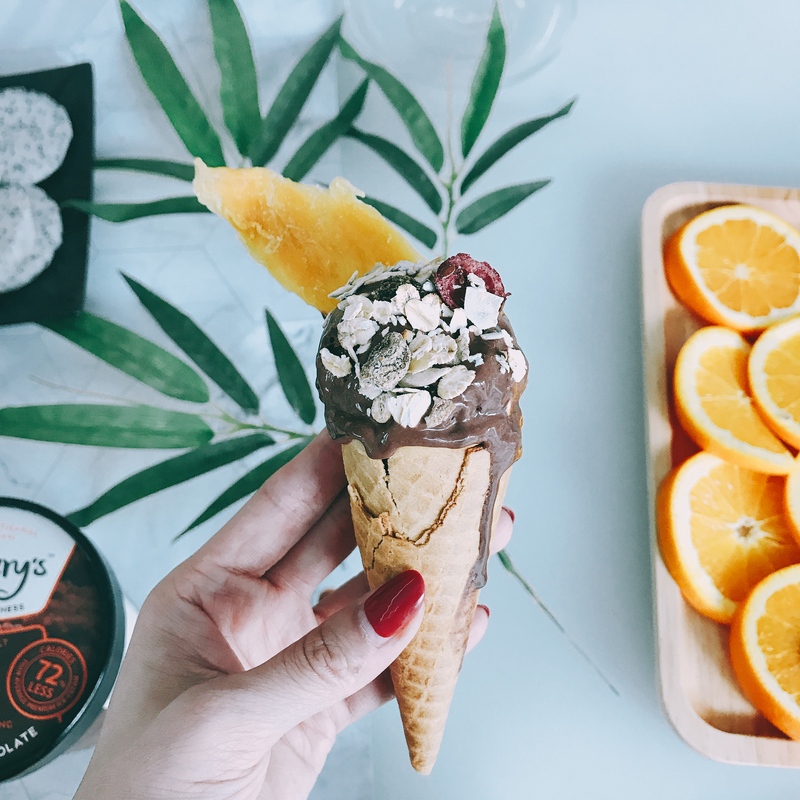 Encouragement from their customers and supporters is what keeps them soldiering on, as they get comments thanking them for “finally offering the market a healthy ice cream”. One of the challenges they faced is having to shift their mindsets at the operational level from the strictly regulated and procedural healthcare industry to adapt to the fast-moving and dynamic food industry. “Imagine the move from developing and selling cardiovascular stents and cancer drugs to formulating and selling ice cream!” he said. While he described it as a “fun and insightful challenge nevertheless”, it’s still their top priority to make sure their products are safe and quality is consistently good. As a young and new brand, another challenge they face is raising product awareness and they tackle it by reaching out through various methods like word-of-mouth, social media, and various publications. “Within a short [amount] of time, our products are listed at arguably the largest grocery chains in Singapore offline and online – Fairprice Finest and RedMart,” Yau Png said happily. He added that they’re appreciative for the help they got from these organisations who opened more doors of opportunities for them. “The figures continue to grow by the day and it’s really heartening. Just slightly a year ago, we were working out of my own room and right now we are thankful that we have a small humble office to work out of,” Yau Png said. There are currently three Callery’s flavours: chocolate, vanilla, and strawberry. Yau Png promised a “slew of exciting flavours to look forward to” as feedback pours in requesting for new flavours. They are also developing other products that are never-before-seen in the market, he teased, and only shared that these products will be “further testament to the foodtech that forms the foundation” of Hoow Foods. “On the business development side, we have also established links with prominent local food groups and organisations and […] they are definitely very exciting for us and will help us further cement our position in this industry,” Yau Png said. They will continue to provide Singaporeans truly guilt-free products that are low in calories, sugar, and fats, and hope that they will eventually join the authorities to combat the risk of diabetes in Singapore. In the future, they plan to enter overseas markets and establish themselves in the regional foodtech scene. 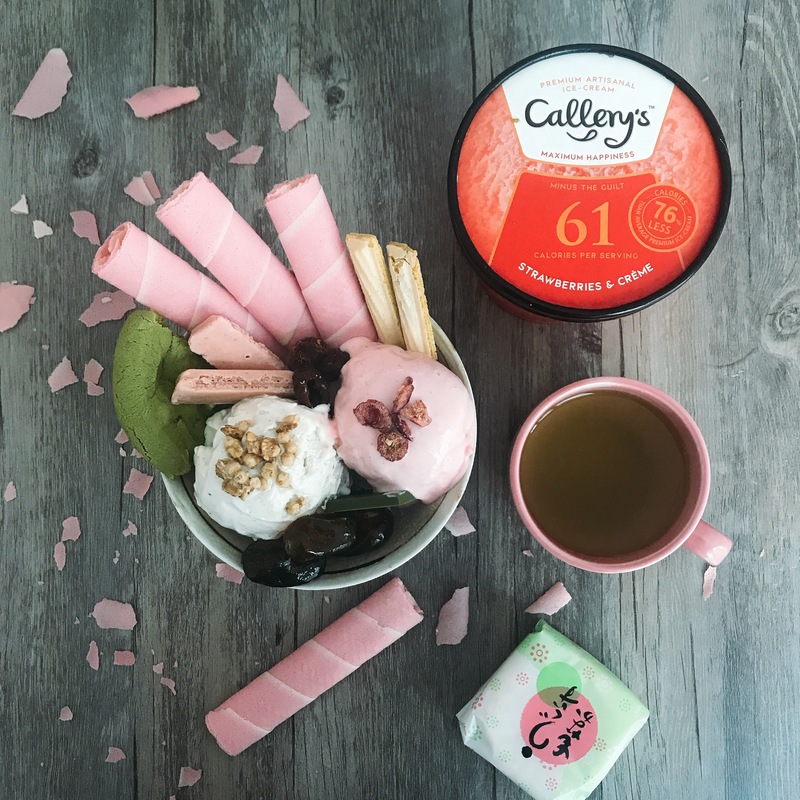 Order yourself a pint of low-calorie ice cream goodness at honestbee, RedMart, and NTUC Finest stores, and check Callery’s out on their website here.